Welcome aboard yacht " Mriya" for sail cruising! 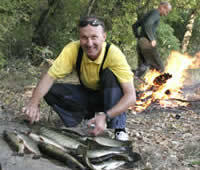 The brightest feature of our South Ukrainian region is a wonderful unique wild nature with its huge amount of waters around. Kherson city is stretched in the mouth of the Dnieper River (the cleanest river of Europe!) and is famous with hunting grounds and quiet back-waters. It is only 20 Miles from the Black Sea. 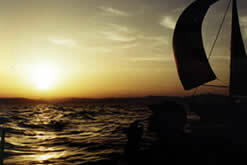 What can be better than a sail cruising or sailing trip aboard yacht Mriya here? 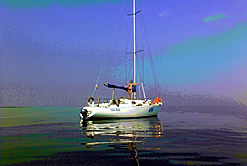 You can rent the yahct for 1-3 hours sailing trip or for all-day-round sailing, incrlude fishing, barbecue and night-time aboard. The sail cruises to Crimea or Odessa City and Nikolaev city are available. You will see the South of Ukraine from the Black Sea. 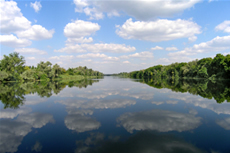 Also we offer the sail crise up-stream of Dnieper up to Kyiv - the capital of Ukraine. There are many beautiful places to visit. And if you are lucky you can take part in the sailing race even! Whether you sail a couple of hours or decide to make a several-days-long cruise a sailing boat we offer has all accommodations to live aboard and safety equipment. Skilled crew. 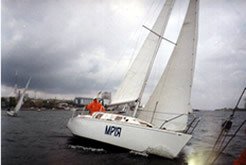 The captain has got the Offshore Skipper Certificate and has 30 years of sea experience. All this cannot leave you indifferent especially if your ladylove is by your side and air is full of love and tenderness and romance… and there is nobody in the whole world except you both… A sailing cruise is the best way to bring romance into your life and get a dose of adrenaline while sailing in fresh air or take part in the sailing races and have relaxing anchorage in the quiet bay to make barbecue or just listen to the sounds of wild life and breath full of delightful odors air, or watch sunset together… You’ll forget it never!………… So, order sail cruise now! Do you not like fishing? May be you haven't try it ever! There, where is much water, shoud be many fish! You can try to confirm this saying. Look at our picture and believe you can do it as well. We offer this kind of activity for you. 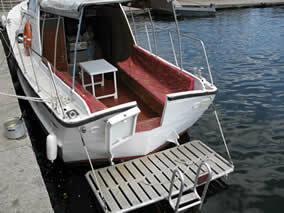 Aboard a sail yacht or inflatable rubber dinghy we have a necessary fishing equipment and cooking ability. Don't worry, we won't leave you without a fish and fish soup! 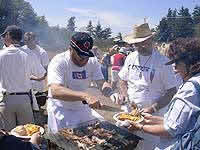 It is not matter what is better: a dinner in the restaurant or BBQ. Warm, sunny weather, tepid water of the Dnieper River and barbecue’s camp at the bank of the river where you enjoy a tasty meal, swimming, light music, just to be on the nature-what can compete with it? There are some places near river for BBQ where to we can get by yacht. In this case you have additional sail cruise and can see Kherson city and wild nature from the river. Have a nice rest! 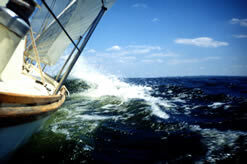 A sail race is the best way to get a dose of adrenaline while sailing in the fresh weather. You will return a really "sea dog" from there! 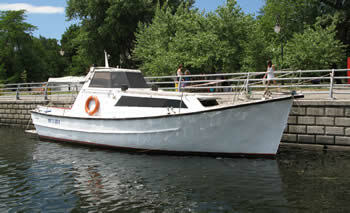 Comfortable pleasure vessel Royal Marine - 33 ft, for pleasure trip on the Dnieper river. Saloon, galley, head, spasious cockpit, music, TV, etc.